This is a product for exuberant party animals, particularly college students and other young males looking for new ways to entertain and impress their friends. Novelty is important to them, but they don’t want to work too hard achieving it– which means nICE Mug has to be presented as a very simple idea. 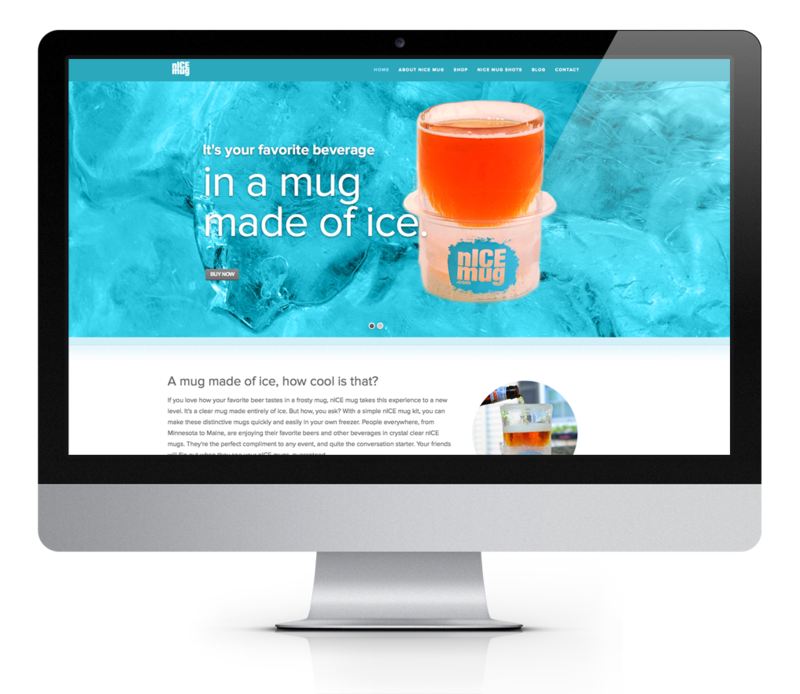 A full-screen picture of ice is the perfect backdrop for telling the nICE Mug brand story—which is quickly told in four high-impact frames. The site uses a simple but effective WordPress theme to engage the user. Site is responsive, views perfectly in mobile. Users are prompted to “Buy Now,” and online purchasing is very easy.